BEST OUTGOING STUDENT Award 2017 – 2018 from Cognizant. Congratulations!!!!! 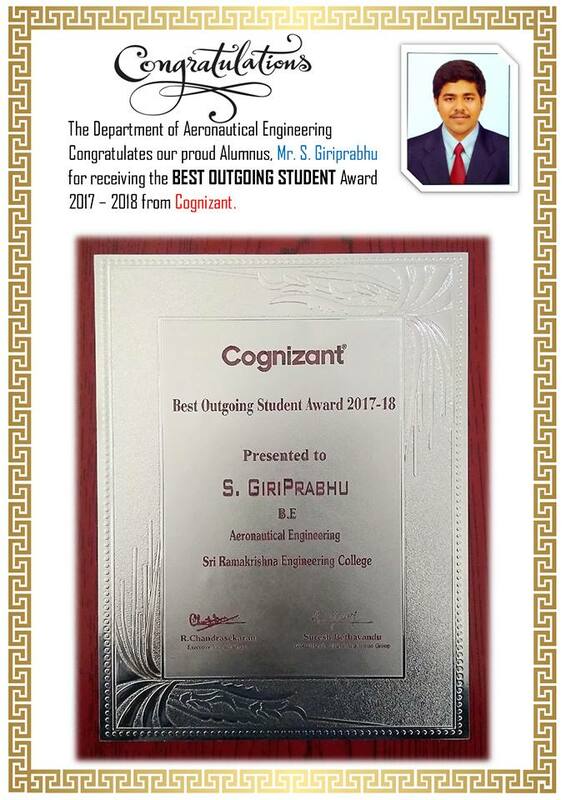 Our proud Alumnus, Mr. S. Giriprabhu (Aero / 2014 - 2018) , Department of Aeronautical Engineering for receiving the BEST OUTGOING STUDENT Award 2017 – 2018 from Cognizant.